our line up is closed. you can buy the ticket now. This is one of the famous Trance Party in Thailand, possibly one of the famous in the world of underground parties. Blessed by Papa Fullpower and Dj.Jacky head of OOZE BAR family. This party is organized on the raft,, (usually after the party all people will call it Magic Raft.. come and find out why) In the virgin and unknown location in the middle lake of the lake in kanchaburi. This party have hosted many famous djs and artist such as. 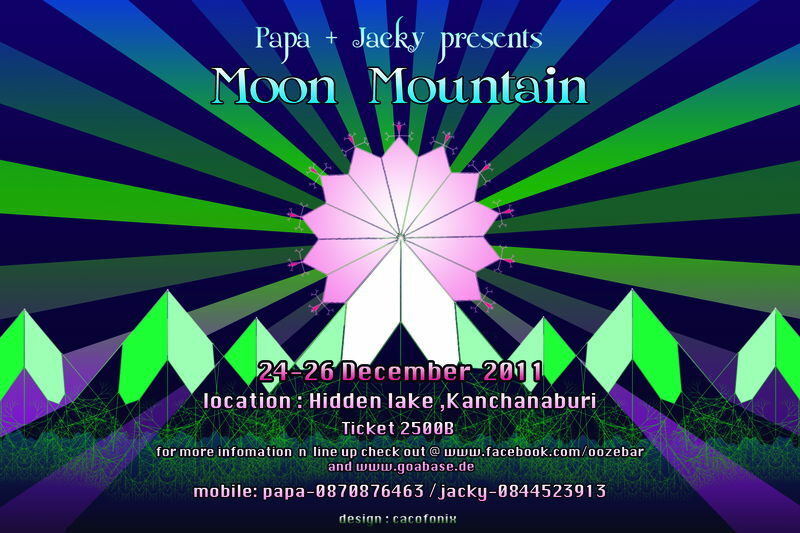 Dj.Sabaii Sabaii, Dj.Scotty, Dj.Jacky, Dj.Lueng,Dj.Cacofonix,Dj.N​ Stomp,Dj.Radzy and the lists goes on..
Artists such as,Samadhi( hopefully he'll join us again this x'mas), Full Face, ,Psychoson and the lists goes on. return to bkk in the same private bus. -though we have blankets and pillow for you.. but maybe you better take your warm clothes along with you. -you can take your own drinks along with you but it would be great if you buy something from the bar to keep the organizers and djs alive..
-you can take your tent there are place on the mountain to put your tent. -make sure you bring more than 1 lighters. -note book + pen to note down your new friend e-mails. -and up to u. and always bring your good spirit with you. -Do not expect for luxury bedroom or toilet.we all just live with nature. -better keep your luggage at your guest house or service shop better lets them take care of it. in 0.223 seconds server time.